A jury finds that Yoselyn Ortega killed the 6-year-old and 2-year-old she cared for in a horrific October 2012 stabbing to spite her employer. 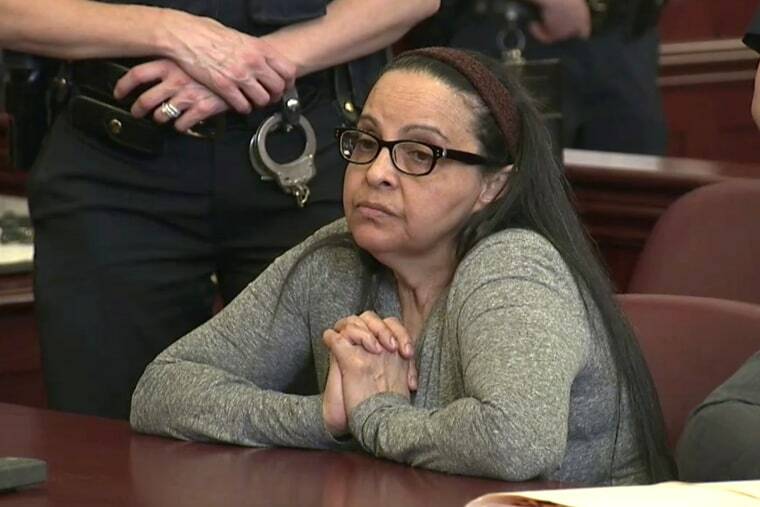 A nanny who stabbed two children to death at their home while their mother was taking a sibling to a swimming lesson and their father was out of town was convicted of murder on Wednesday despite her claims that she was too mentally ill to be held responsible. Jurors in State Supreme Court in Manhattan found that Yoselyn Ortega killed 6-year-old Lucia Krim and 2-year-old Leo Krim in October 2012 and understood the consequences of her actions when she did it. Ortega expressed no reaction to the verdict, staring straight ahead as it was read in court. The children’s father, Kevin Krim, held hands with two alternate jurors who said they would stay for the verdict and then hugged them after it was read, and they cried together. Ortega’s lawyer, Valerie Van Leer-Greenberg, didn’t dispute that Ortega killed the children, but contended that she had an undiagnosed mental illness that got worse in the moments leading up to the attack. But prosecutors maintained that Ortega knew what she was doing and acted out of jealous hatred of the children’s mother, Marina Krim, who was richer and happier than she was. “She did it intentionally with a full understanding of exactly what it was she was doing — every stab, every slash,” Assistant District Attorney Stuart Silberg said during closing arguments. Ortega, who is from the Dominican Republic, showed little emotion during the trial and mostly stared straight ahead. But she shook her head forcefully and mouthed “no” during witness testimony that her employers treated her well. Jurors heard heart-wrenching testimony from Marina Krim, who spoke of the sickening, desperate moments when she saw her children’s vacant eyes, their small bodies perforated by stab wounds. Krim was at a swimming class with her 3-year-old daughter, Nessie. They went to pick up Lucia from dance class, but she wasn’t there. Krim, after finding Lucia’s and Leo’s bodies in the family’s home on the Upper West Side, ran outside with Nessie, called for help and started screaming. Lucia, who was called Lulu, was stabbed more than 30 times and had defensive wounds on her body. Leo was stabbed five times. Their father had been away on a business trip. At Ortega’s trial, he spoke of walking down a long hallway at the hospital where he saw his children. The father’s testimony brought tears to the jurors and to people seated in the courtroom gallery. The father had no comment after the verdict against Ortega was read. Ortega, 55, faces life in prison when she’s sentenced next month.